American actress and model, Paris Jackson is the second child of legendary singer, Michael Jackson and Debbie Rowe. Jackson came to limelight after the death of her father. She became the topic of discussion every time when she was caught on camera. She always speaks up for her dad and family. Jackson made her TV appearance in 2003 from the documentary, Living with Michael Jackson. In 2017, she appeared on the cover of Rolling Stone. The same year, she signed a modeling contract with IMG Models. As of 2018, she appeared in the movie Gringo as Nelly. Also, she is interested in singing but does not want to make it a career. Paris Jackson was born Paris-Michael Katherine Jackson on 3rd April 1998 in Beverly Hills, California to legendary singer, Michael Jackson and Debbie Rowe. 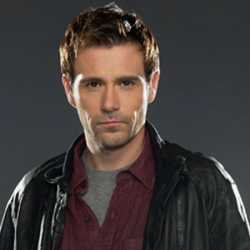 Jackson is American by nationality and belongs to Mixed ethnicity (African-American and White). Her parents named her after the French city where she was conceived. 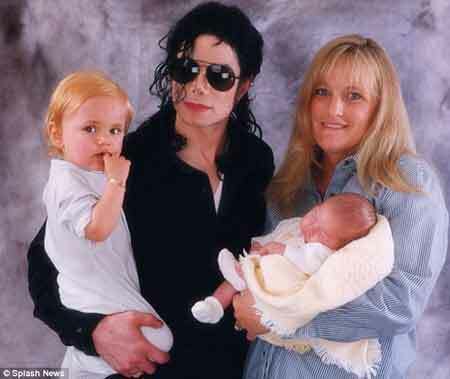 Jackson has two siblings, Michael Joseph Jackson Jr. and Prince Michael Jackson II. After her parents divorced in 1999, her father raised her in Neverland Ranch. 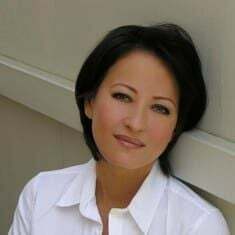 Her mom is dating Marc Schaffel as of now. Elizabeth Taylor and Macaulay Culkin are her godparents. To hide their faces she along with her siblings used to wear masks during public outings. Jackson attended Buckley School where she participated in softball, flag football, and cheerleading. Paris Jackson came into the limelight after her father’s death and became the topic of discussion every time when she was caught in camera. Despite several controversies, she openly spoke about her father and family. She made her first TV appearance in 2003 in ''Living with Michael Jackson''. She is poularly known as the actress and model. Jackson made her acting debut in 2011 from the children’s fantasy film, Lundon’s Bridge and the Three Keys. The movie was based on a book by Dennis Christen. But the film ended up in development hell. 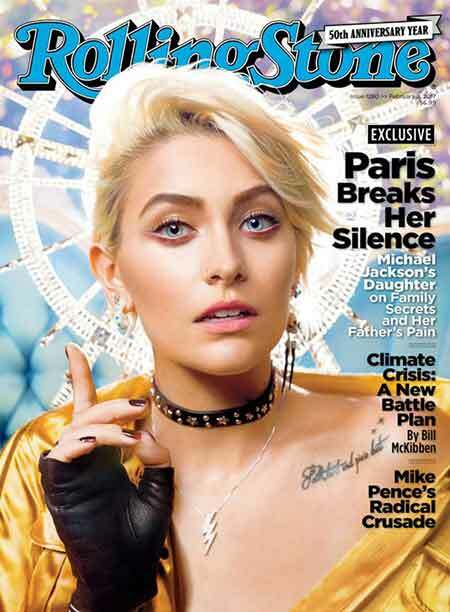 The following year, People magazine included Paris Jackson in their Most Beautiful List. In January 2017, Jackson featured on the cover of Rolling Stone. The same year, she also signed a modeling contract with IMG Models and also appeared as a guest star in the musical drama TV series, Star created by Lee Daniels and Tom Donaghy. She also appeared in several music videos and TV shows. In 2017, she was awarded Emerging Talent Awards. As of 2018, she worked in the crime comedy film, Gringo with Charlize Theron, Joel Edgerton, David Oyelowo and Amanda Seyfried. 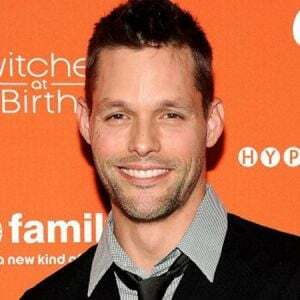 She and musician/singer Gabriel Glenn formed a musical duo named The Soundflowers in 2018. The duo performed their first gig at Canyon Sessions on June 23, 2018, with their original songs Daisy and In the Blue. Jackson refers to herself as "PK Dragonfly" in the band, sings and plays the ukulele while Glenn also sings and plays acoustic guitar. As per some sources, the IMG Models on an average earns a salary between $52,249-$111,878. Paris Jackson is also an IMG Model since 2017. In August 2018, she became the international ambassador of the fashion brand Penshoppe. Jackson has a Jeep Wrangler, price starts from $23,995. She also has a cross-breed dog Koa and a Labrador named, Kenya worth $800-$1200. 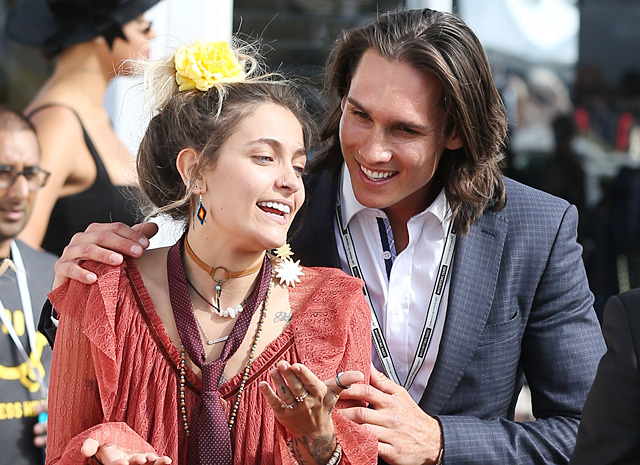 Paris Jackson was in a relationship with soccer player Chester Castellaw in 2015. The couple was spotted for the first time at a gas station in Malibu in October 2015. The relationship between the couple did not last long and broke up in 2017 for some undisclosed reasons. After the break-up, Jackson was spotted with a mysterious man in West Hollywood with whom she looked cozy. She, however, has not spoken anything regarding their relationship. In 2017, she was again spotted with Tyler Green in Melbourne. It looked like they came from an event and were enjoying each other’s companies. But as per some sources, they are just friends. In 2018, Paris Jackson was spotted kissing model, Cara Dlevingne outside the Carlotps Gardel steakhouse in LA. They were also spotted being cozy in several places. They were rumored to be dating, however, they have not confirmed it. So, Jackson might be possibly single in the present days and does not have a boyfriend too. Jackson was assaulted at the age of 14 by an old man who was a complete stranger to her. The trauma, along with that of being cyberbullied, led her to attempt suicide three times. She was sent to a therapeutic school in Utah after the last attempt, where she spent her sophomore and junior year of high school. She credits her high school that helped her to overcome depression. She was questioned of her sexuality for which, she wrote in response to a question on her Instagram story on July 13, 2018, whether she's bisexual, she wrote: “That’s what you guys call it so I (sic) guess but who needs labels.”. She later added to Twitter: “Everyone has known for years I came out when I was 14, WTF.” “How many times have I publicly referred to the community as ‘my fellow LGBTQ+’? Like, even on stage. I’ve been a part of the community for years. I even mentioned having crushes on girls when I was eight in a magazine before. I’ve been caught kissing girls in public.” Again, she added to her Instagram story: “And I’m not bisexual, I just love people for people.”. Jackson underwent surgery to remove a large abscess on August 10, 2018. On 25th June 2009, when she was 11, her father, Michael Jackson died from cardiac arrest. 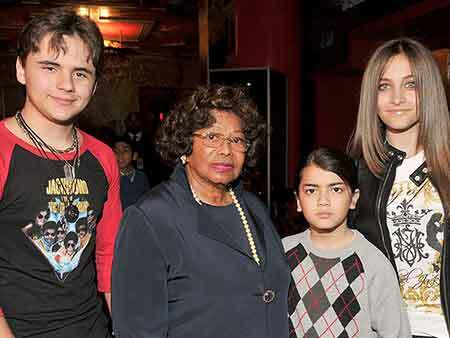 As per the will of Michael Jackson, Katherine Jackson(Paris Jackson's grandmother) became the legal caretaker of his children. After several investigations, it came out that her father died from acute propofol intoxication. 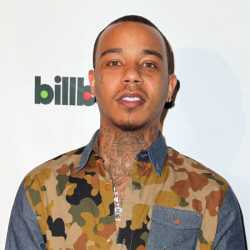 The Jackson family filed a death lawsuit against A.E.G for failing to protect the singer while he was under their care. In April 2013, the trial began and sought up to $1.5 billion which was an estimation of earning over the months of Michael Jackson since his death, if he was alive. In October, the court determined that A.E.G was not responsible for Michael Jackson’s death. 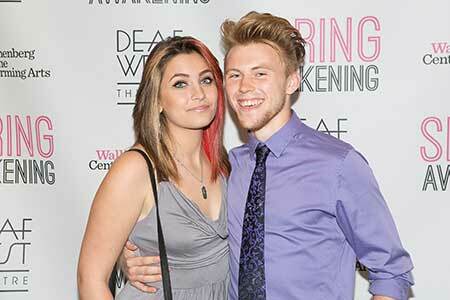 Paris Jackson was totally broken by her father’s death. She even claimed that her father was murdered. After the death of her father, Michael Jackson, Paris and her other siblings came to limelight. Media started speculating about their life without the hand of their father and his fortune. They also accepted the Lifetime Achievement Awards at the 2010 Grammy Awards on behalf of her father. Later, in the memory of her father, she along with her siblings and grandmother made plans to put together a documentary movie,''Remembering Michael''. They planned to raise funds from the crowding site, FundAnything. But they had to close the campaign because of the uproar from media and fans. Moreover, she was also cyberbullied which drove her to attempt suicide three times. After the third attempt, she was sent to a therapeutic school in Utah which helped her to overcome depression. She was involved in raising awareness of the concerns of Native Americans and protested with activist groups to fight against pollution. Paris Jackson is a fond of tattoos. She has inked over a dozen tattoos on her body. She inked on her left ankle with the Standing Rock Tatto, a design by Stephanie Big Eagle, a descendant of the Oceti Sakowin and No DAPL movement participant. Here is the list of the tattoos that she has inked on her body as of August 2018.